Memphis, TN – The most accurate way to achieve the proper torque and preload on connecting rod bolts and other fasteners is by measuring bolt stretch¸ and an easy-to-use Rod Bolt Stretch Gauge from COMP Cams ensures proper clamping. Rod bolt stretch is the proper length a fastener needs to reach to ensure optimal clamping force. This Rod Bolt Stretch Gauge from COMP Cams features robust billet aluminum construction with a durable black anodized coating. Spherical points ensure precise, repeatable readings, and they adjust for both length and right- or left-side configurations. 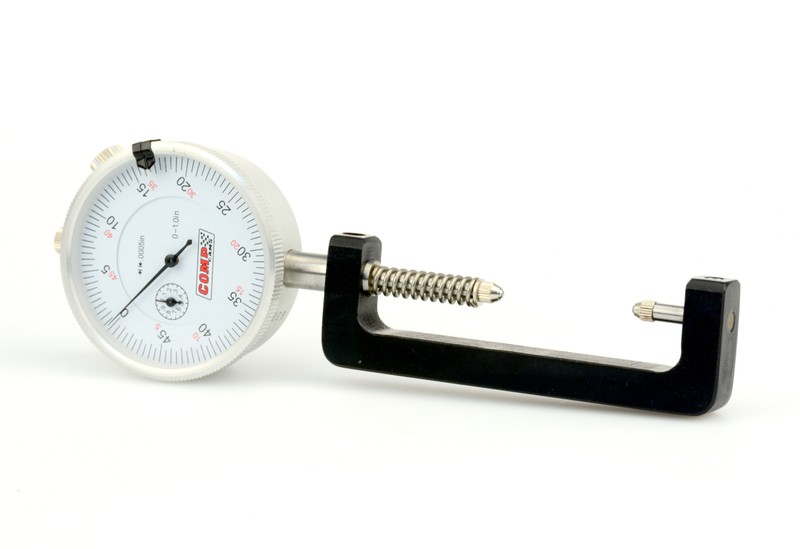 The tool measures rod bolts in increments of .0005 on an easy-to-read dial indicator. An additional tension spring offers firm clamping for consistent and correct measurements. This tool is a “must” for anyone building engines.